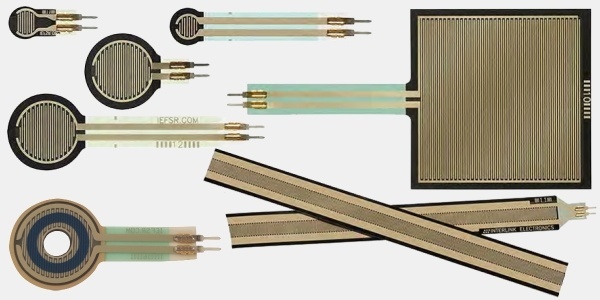 Force Sensing Resistor® technology from Interlink Electronics is the most versatile force sensing technology on the market today. 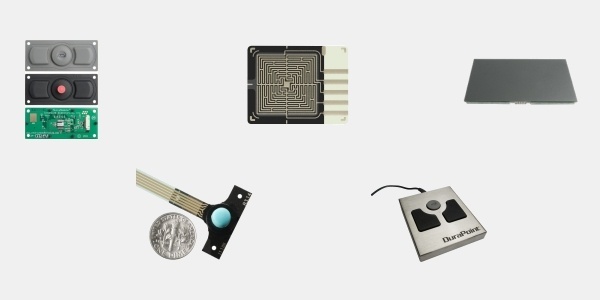 These innovative sensors provide an inverse change in resistance in response to an increase/decrease in applied force. Interlink's standard range of sensors provides engineers and designers with a durable, reliable, easy to measure, thin form factor and low cost solution for human machine interface (HMI) touch solutions and analog data capture for machines. 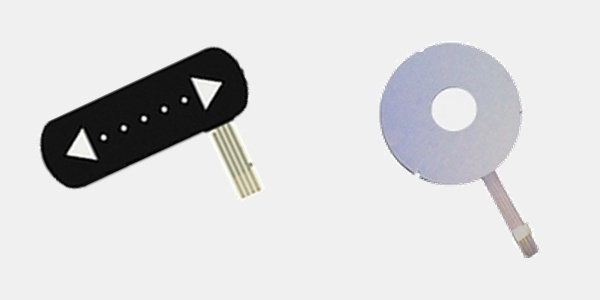 The sensors are available in a range of sizes, shapes and lengths. Several connection options are also available as standard. Force sensing linear potentiometers (FSLP) are sensors which can be used for menu navigation and control. Interlink's use of force allows for high rate scrolling and a more intuitive user experience. The FSLP is an easy to integrate, high resolution, ultra low power based solution that brings intuitive user controls to reduced form factor hand-held consumer electronic devices. These sensors are available in multiple lengths as standard. Interlink also offers a ring sensor for full 360-degree position sensing. These sensors are designed to be integrated into a device's host processor without the need for a dedicated microprocessor. Integrated mouse modules & pointing solutions from Interlink Electronics can add touchpad or 360-degree pointing control to virtually any electronic device. Ranging from simple Mouse Button integration to NEMA-rated industrial pointing devices, these solutions are ideal for applications away from the desktop. The modules use Force Sensing Resistor technology and measurement firmware in a four-zone sensor or 4-wire resistive touchpad configuration along with a micro-controller to provide pressure sensitive cursor direction and speed control in a durable and easy to integrate form factor.